This home has it all! Real hardwood throughout the main living area w/ an open floorplan you will love! Corner gas fireplace, modern kitchen w/ custom cabinets & a large island bar, beautiful master suite w/ 2 walk-in closets, huge 4th bdrm/ bonus rm w/ private bath. This full custom home includes a gas tankless water heater for endless hot water & all the custom details you want! The backyard is amazing w/ a covered back porch & large deck perfect for year-round fun & enough room for a pool!! Enjoy the outdoors w/ basketball in the streets, a walk to the park or take in a beautiful day on the greens at Lakewood Golf course. Location, Style & Value... Must See! 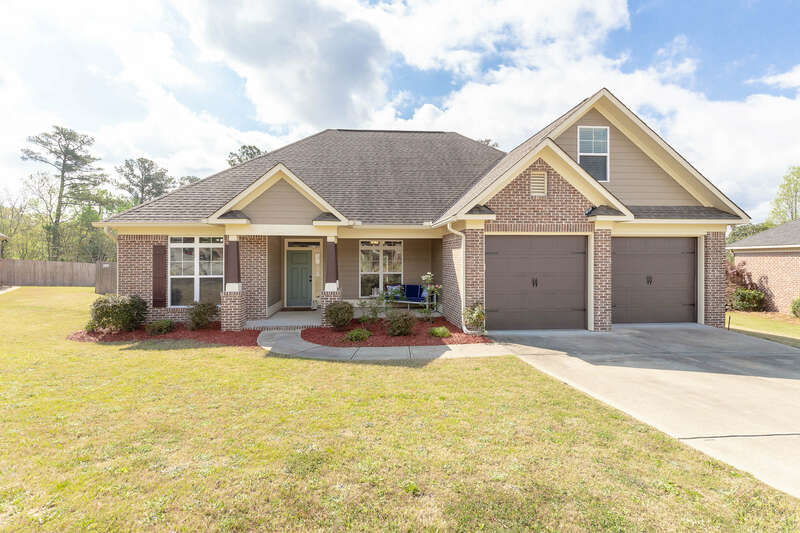 This home includes: Fresh paint inside, Radiant heat barrier, Rinnai Tankless water heater, zoned sprinkler system, security system, mst on main (split plan), hardwood, XL 2-Car garage will fit boat, back porch wired for cable.